YOU GUYS. 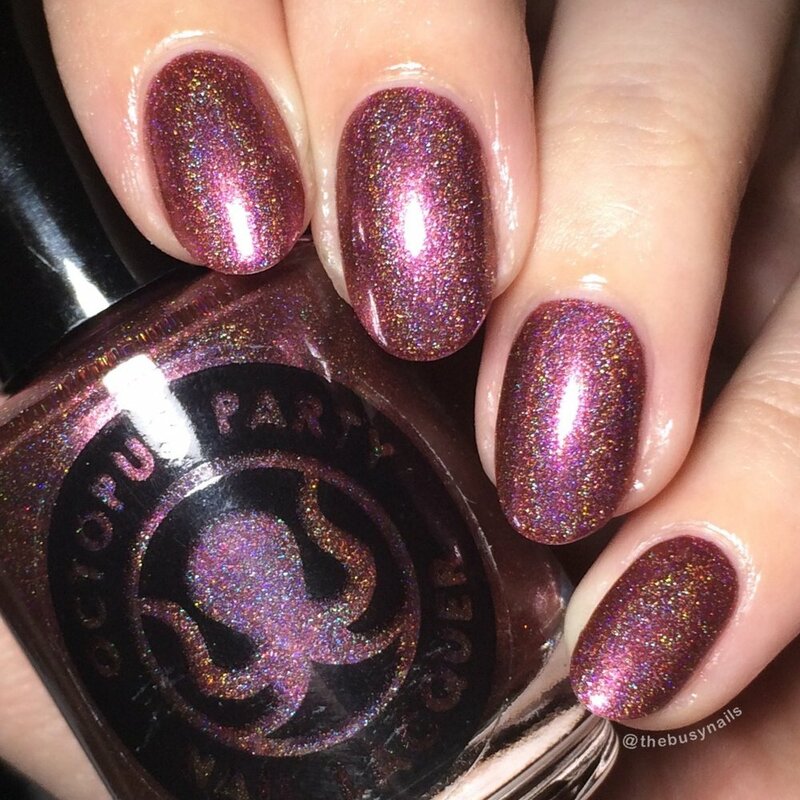 I'm very excited to share a new-to-the-blog brand, Octopus Party Nail Lacquer. OPNL is by no means new to the indie game, just new to my swatching queue. Over the last year or so, I've purchased several polishes from Dave and I've been so happy with each and every one! This guy has a way with holos... I can't even explain it. They have such a silky smooth formula and crazy sparkle. Needless to say, when he reached out to me asking to swatch, I jumped at the chance. Today I have the OPNL Winter 2017 collection to share. These shades are inspired by Norman Rockwell and Dave's childhood Christmas memories in New England. I love that this collection has a subdued, vintage feel to it that's different from the super saturated reds and greens you typically see around this time of year. (I know it's not Christmas yet, but in polish world it practically is, okay?) The color palette combined with Dave's memories and inspiration make this collection really special and relatable. *NOTE* Customers who have already purchased Reindeer Wolfcastle can still take $5 off their order when purchasing the remaining four colors in the collection. All photos in this post are taken under artificial light. 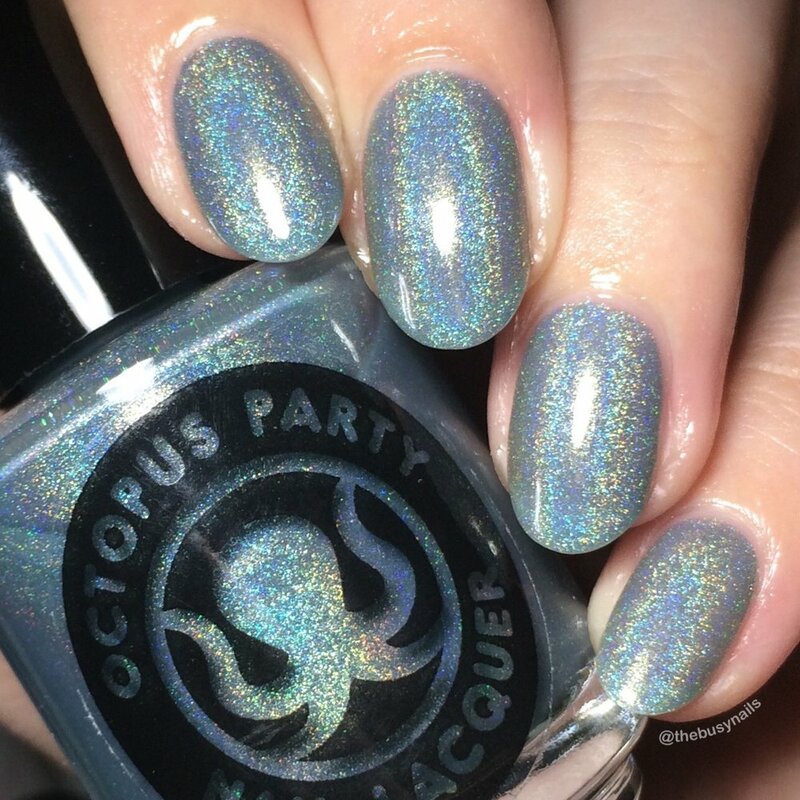 I used Talon Super Swatch & Peel base coat by Nail Hoot, (a clear peel-able vinyl base), and all are topped with Glisten & Glow HK Girl topcoat. These polishes were provided for my honest review. Enough chit chat, onto the swatches! Inspiration: In my family cranberry sauce is served at every holiday dinner. I can’t remember a time it wasn’t. I'm starting off with my personal favorite! 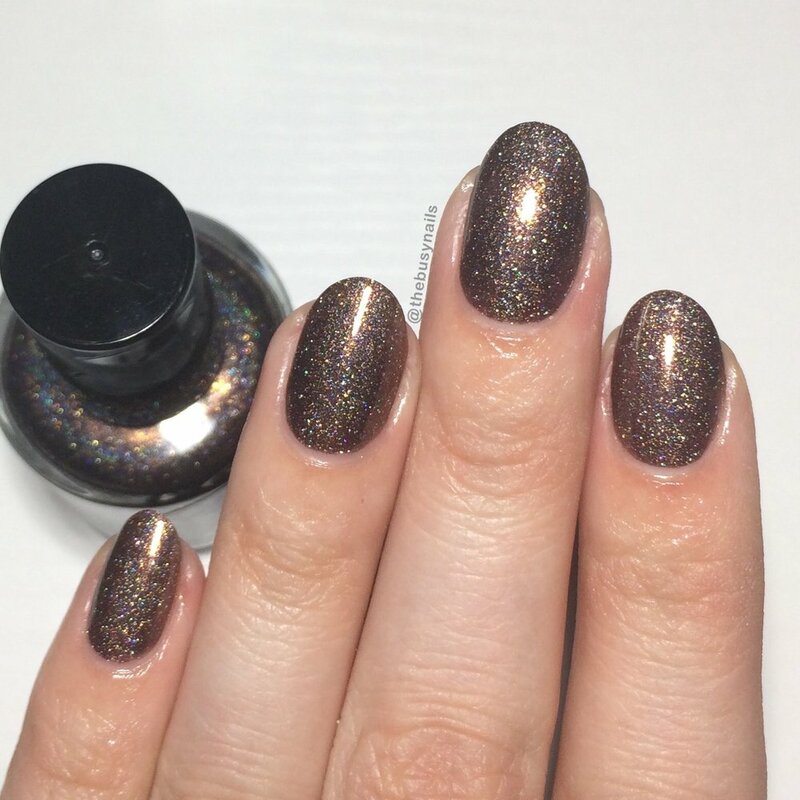 I love everything about this polish: the formula was excellent, the color is beautiful but not over-the-top holiday, and it has a glowing, luminous quality that's really gorgeous. To me, it read as more of a rust-leaning reddish berry with a pinkish glow, but, semantics. It's really pretty and that's all that matters. Inspiration: Decorating the entire house, inside and out, is something my mom loves to do during the holiday season. Growing up I remember a strand of fake plastic holly leaves and berries she would bring out every year. It looked and felt tacky giving off a distinct odor of polyurethane and wax, but it looked completely convincing. Although she insisted on real plants in the house during Christmastime (real tree, real poinsettias, real pinecones, etc.) the fake plastic holly was a mainstay. This polish was tricky for me. Truthfully, I've never been the best at applying true jellies perfectly evenly. I went in for 3 coats, planning to stop there, but just wasn't thrilled with my coverage, so I added a fourth for photos. For a full mani, I tend to max out at three coats, but for the sake of swatches, I wanted to show you both. The color of this jelly is gorgeous. 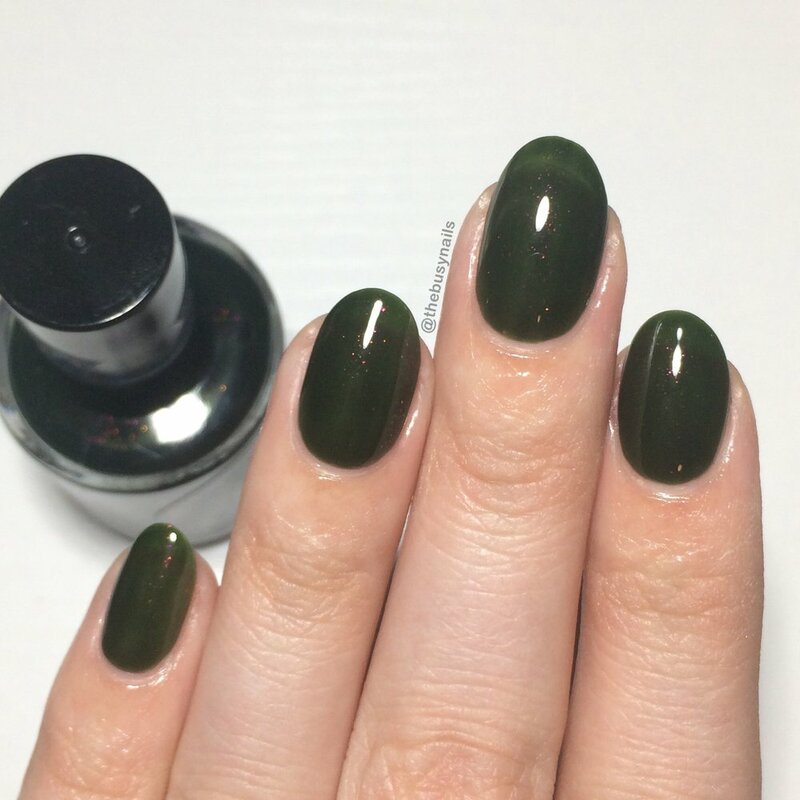 I love dark greens and this is warm enough to be sophisticated, but definitely not olive. And it's dark enough to be chic, but definitely won't be mistaken for black. The shimmer/shifting pigment is sparse, but really, really pretty. Also, I don't think it was the formula that gave me uneven coverage at three coats, I think it was my lack of jelly experience. Inspiration: New England is no stranger to winter days that are as frigid as they are gloomy. The dominance of slate grays and ice blues of the sky is reflected on the ground. Holographic jelly!!! These are the polishes I've come to love the most from OPNL, and Ice Ice Maybe is no exception. The holo is super strong and it's such a nice, icy cool blue. It can lean blue-grey under certain lighting. Stained nails beware - if you're rocking yellow tinted nails, they're likely to show through this a bit due to the light color and jelly formula. A color correcting base coat might do the trick. Inspiration: Recently I watched an old family movie shot by my mom while my dad and I were decorating the Christmas tree. I hung the ornaments all on the same branch. My dad repeatedly told me to stop. Ignoring him, I hung every single one I could grab on the same exact branch, even after the excessive weight caused them to fall off. 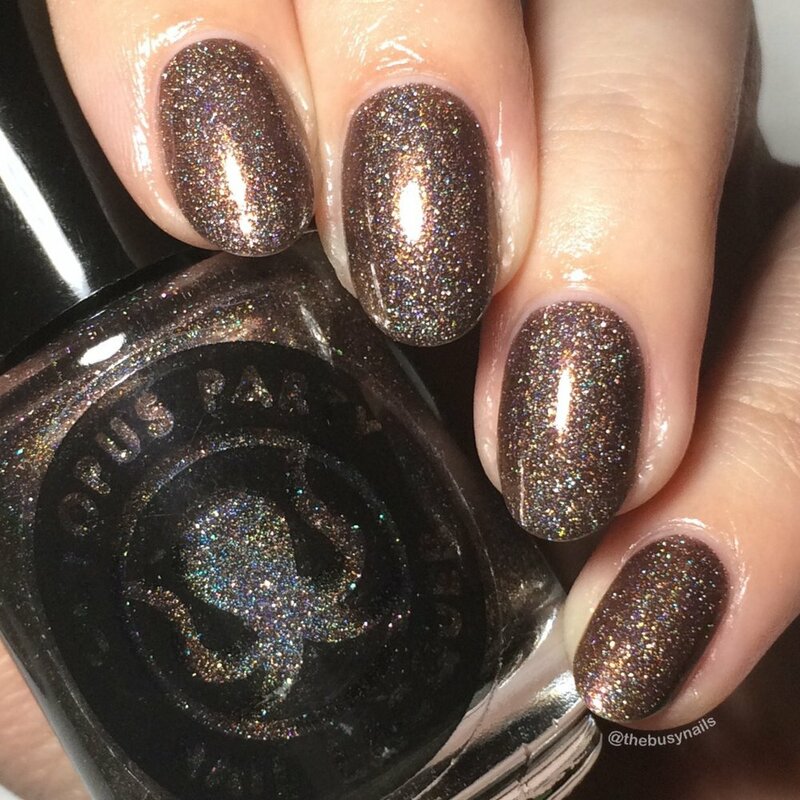 HOW GREAT IS THE BACKSTORY AND NAME OF THIS POLISH?! I just love the mental image so much, plus I'm a sucker for wordplay. This shade feels the most vintage to me out of the bunch. To me, it's somewhere in the mint/sage family of greens, and very pretty. The shimmer gives it an almost metallic look that feels very holiday-appropriate. I did have some streaks during application, but those mostly went away with topcoat. Inspiration: Of all the imagery and icons of Christmas, one of my most favorite is the mystical and helpful reindeer. Enjoying the winter weather myself, I wished I had an animal companion who loved snow as much as I did. My cats wouldn’t even wear the antlers we bought for them. I saved my second favorite for last! Isn't "blushing cinnamon" the most precious and accurate description of this polish? My own notes said "sparkly hot chocolate" which feels pretty spot on as well. This baby has a great formula, dries down smooth and just genuinely looks beautiful. 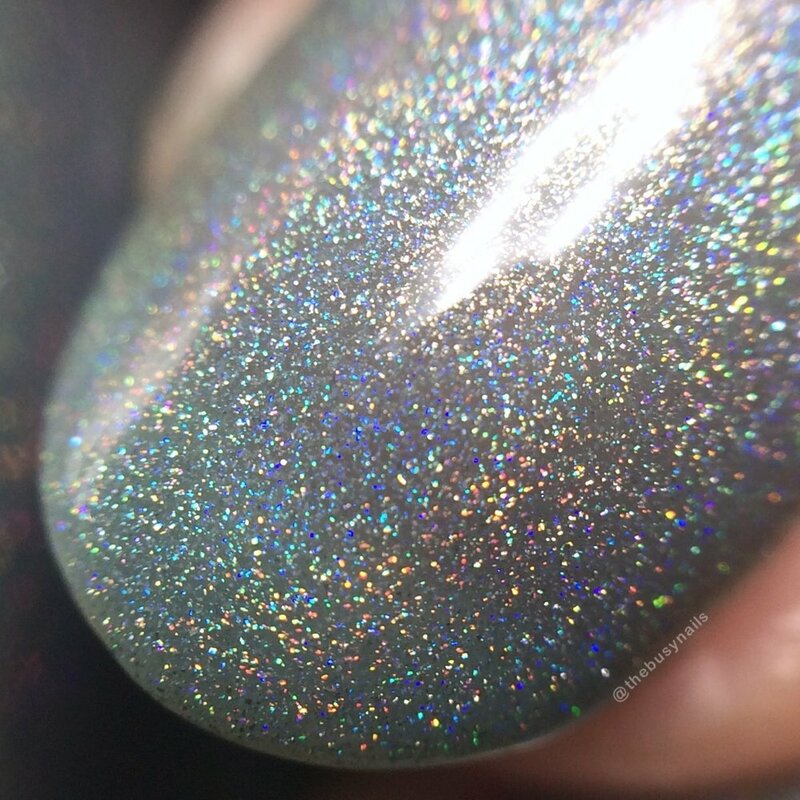 It paints like a holo, not a glitter at all, despite all that sparkle. Do you love this vintage-inspired collection as much as I do? I hope so!